On Monday, XXL magazine, unveiled this year’s Freshman 2016 class. This year’s Freshman Class has received positive reviews compared to the ones in the past. This year’s class hail from different areas and regions. The class consist of Lil Dicky (Chelthenham, outside of Philadelphia), Lil Uzi Vert (Philly area), Kodak Black, Anderson.Paak, G Herbo, Denzel Curry, Dave East, Lil Yachty and new G.O.O.D. 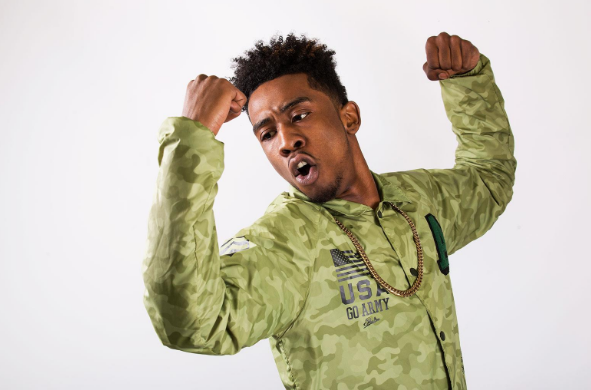 music artist, Desiigner. Out of all the names, the artists that are receiving the most traffic is Lil Uzi Vert and Desiigner. Lil Uzi Vert has been a very popular and starting to become a household name since the first half of this year as well as the latter half of last year. Currently, he is a few of the Philly artists (Meek Mill, Kur, PNB Rock) that is restoring Philadelphia to relevance and dominance in the hip-hop since State Property in the early 2000s. Lil Uzi recently released a mixtape last month, Lil Uzi Vs. The World. The mixtape featured production from Metro Boomin and Don Cannon. The other popular name out of this Freshman Class is Brooklyn rapper, Desiigner. People first heard about him on Kanye West’s album, TLOP (The Life of Pablo). On the track, “Father Stretch My Hands, Pt. 2,” Kanye features an excerpt of what appears to be Desiigner’s “Panda” track. Ever since then, “Panda” has become a big radio hit and a track in which artists are adding their own freestyle verses to the track. The 2016 XXL Freshman Class boasts talent and potential, let’s see how this will unfold.